Because it's Friday... I get tacos! 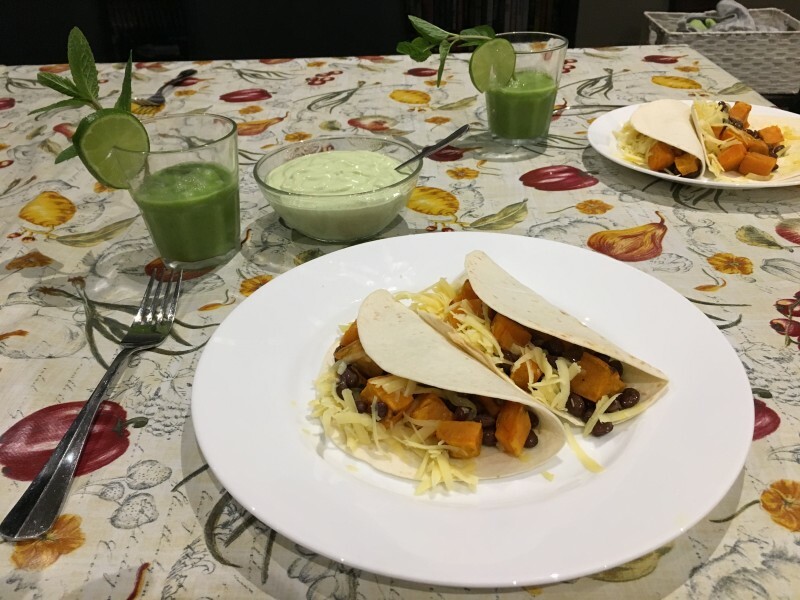 My husband was out for dinner, so I skipped the meat (his preferred) and made sweet potato and black bean tacos instead. Pretty tasty! The highlight was the avocado yoghurt sauce. It was paired with Sarah Wilson's "Make-Me-Over Mojito", of which my 3.5yo and I had about 3 glasses each... Yum!